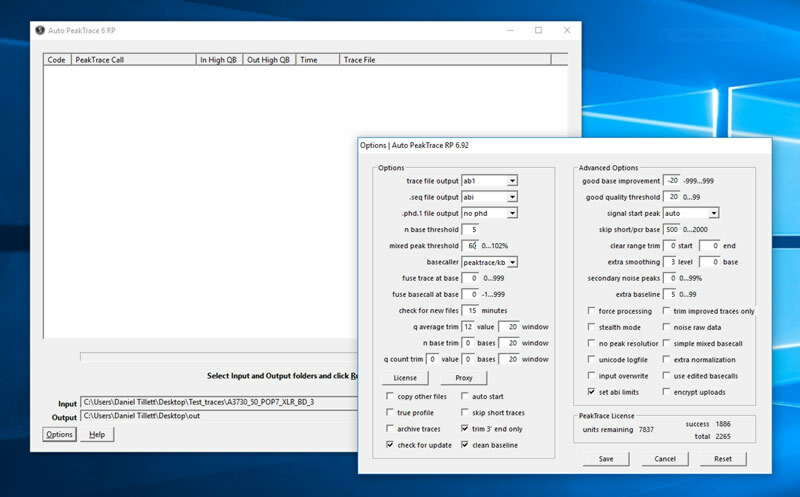 We have release Auto PeakTrace 6.92 for Windows. This update that supports a new method of removing minor peaks from under the major peaks, as well as many changes on the server side to improve processing and basecalling. The full list of changes includes. New Feature. Calculation of the signal start peak location directly from the trace. New Feature. Controlled removal of minor peaks without mixed basecalling. Improved basecalling of PCR product traces. Many additional small bug fixes and enhancements. Auto PeakTrace RP 6.92 can be downloaded from the PeakTrace RP Downloads page. If you do not know the password to access the PeakTrace RP Downloads page please contact us or your local supplier for the update. The MacOS X version will be released in the coming days.